We review Unlock! the new escape room board game published by Space Cowboys. Using an integrated app, Unlock! will have players working together to try and "escape the room" in under 60 minutes. Note: This will be a spoiler free review of the Unlock! series of games. 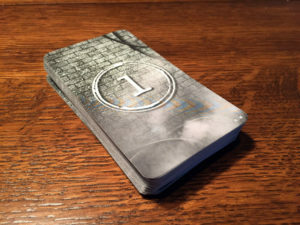 All photos showing the front of cards are from the small tutorial deck included in each game. I am a big fan of escape rooms. I’ve done more than a few in my area and, so far, have escaped from each one within the time limit (knock on wood). Unsurprisingly, there has lately been a deluge of games seeking to capitalize on the escape room craze. While nothing can really duplicate the tactile experience of trying to physically get out of an locked room, these new puzzle games can at least engage the same critical thinking elements of your brain. 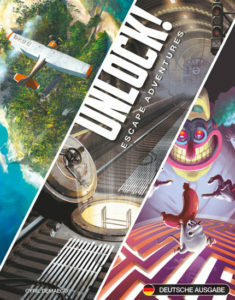 Unlock!, a new escape room style game from veteran publisher Space Cowboys (TIME Stories, Splendor), has players trying to “escape from the room” using a deck of cards an integrated app. Players will have 60 minutes of working together to solve a variety of puzzles. Is Unlock! the best way to play an escape room at home? Let’s find out! Unlock! is a cooperative, puzzle solving game for 1-6 players that takes about 60 minutes to play. Unlock! Plays best with 2-4 players. Each game of Unlock! comes with a deck of cards and a smaller “tutorial deck”. The teaching deck is identical in all versions of the game. A blue card combines with a red card and provides a number that reveals a new card. Players begin the game with a single card deputizing the room they are in and a deck of cards (we sorted our deck by number before the game to make it easier to find cards). During the game, players will need to solve puzzles to gain access to new cards, leading them further down the rabbit hole. Unlock! throws a variety of puzzles at you. Some will have you combining cards to make a new number (2+4=6, reveal card number 6), while others will have you inputting codes into the app, which will tell you if you are correct (new cards) or wrong (time penalty). 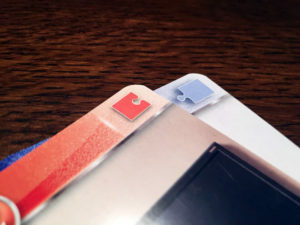 To further draw from the physical escape room experience, card numbers will also be hidden on some cards in a “where’s waldo” type of mechanic. If you find one of these, you can reveal the same numbered card from the deck. Should you get stuck, the app offered hints, in addition to being the game’s timer. Usually, you will need to input a final code into the app to “escape the room”. Doing so, will give you your final score based on time and hints used. There are 5 different types of cards in Unlock, each of which work in a different way. I like the Unlock! system and it’s easily the best of the escape room games I’ve played so far. I think a big portion of that has to do with the integrated app. While not perfect, I think it’s the best solution so far. It not only allows for sound to be integrated into puzzles, but allowing users to input codes into the app opens up a wide variety of possibilities. Using the app also removes the temptation for players try and brute force a solution to some puzzles, as each incorrect input will penalize players by removing some time from the clock. 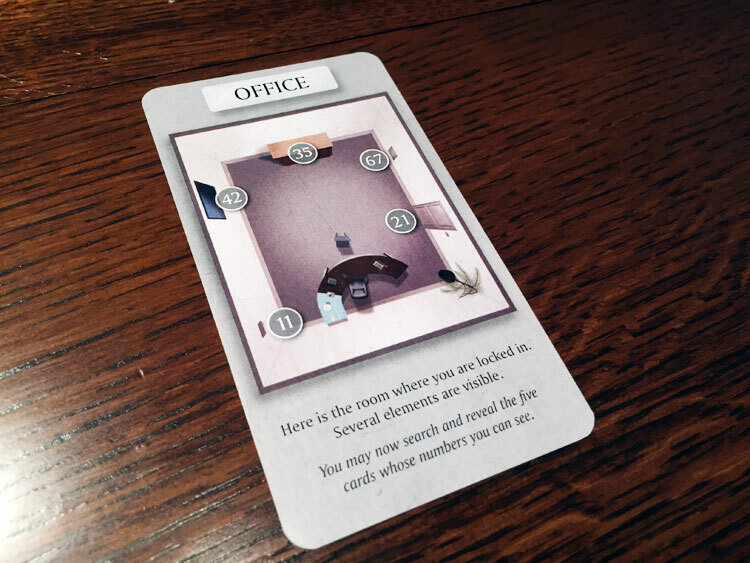 Players always start out with one card, the “room” they are locked in. The app can also provide hints to the players upon request. You simple type in the card number you are stuck on and it will give you a clue. However, many of the clues we got were less than helpful, so I wish there was a “not helpful” button in the app. As each clue penalizes your final score, it’s annoying to get dinged for information you already knew. Hopefully Space Cowboys adds this feature to the app in the future. For the puzzles themselves, overall I found them to be solid, with none being too out there. Wow the puzzles didn’t get as creative as in some other escape room games, all of them felt fair, and definitely solvable. While some had us truly stumped for a while, we were able to compete The Formula in just under 60 minutes (Squeak and Sausage didn’t’ fare as well for us). If you’d rather not play with a timer, a recent update to the Unlock! app has added the ability to play without a timer. Not every card in the deck will be used, and some are traps to penalize players who guess incorrectly. Finally, if it wasn’t obvious to you, the Unlock! series of games are a one and done type of game. Much like Space Cowboy’s TIME Stories game, you are going to play this once and then never again. Fortunately, Unlock! is easy to reset and you can give it away or trade it to others. With an MSRP of $15, I don’t feel its too out of line for a 60 minute+ game experience. Unlock! is going to be my escape room game of choice going forward. I love the app integration and feel like it could be used for many more creative options in the future. I could see the designeres adding photos or videos to it to really expand the potential of the puzzles. While the Unlock! system isn’t perfect, the game is fun and the puzzles will have your brain firing on all cylinders. The one-and-done game play doesn’t bother me in the slightest, especially with both its affordable price point and the ability to trade it to others afterwards. 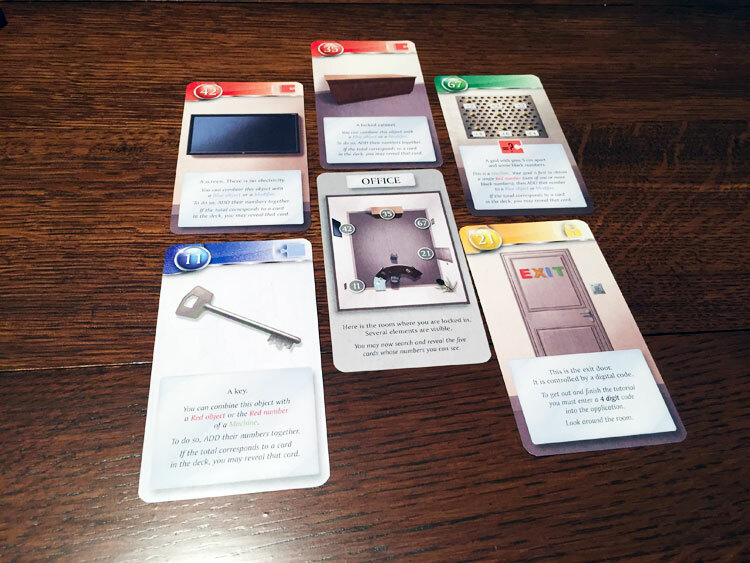 While a tabletop game is never going to replicate the feeling of being locked in a room, Unlock! does provide an entertaining puzzle-solving experience. 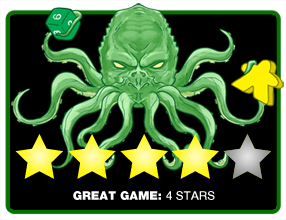 Final Score: 4 Stars – A great attempt at bringing that escape room feel to our tabletops.